Find hotel near Thetys-museo Del Mare Di .. Most cities close to the sea ike to show off their close connection to the water. Naples however has only one such museum, and it is enough. Bolstered by generous donations from many different sources, the church has slowly grown in scope and appeal. This includes models of ships, machines illustrative of modern engines, ancient and modern navigation equipment. EUR 3 for kids 4-12 years old; seniors 65+ years old. Free for 3 and under. Sunday visits must be booked in advance. Love this? Explore the entire list of places to visit in Naples before you plan your trip. Fancy a good night's sleep after a tiring day? Check out where to stay in Naples and book an accommodation of your choice. How popular is Thetys-museo Del Mare Di Napoli? People normally club together Parco Virgiliano and Sohal Beach while planning their visit to Thetys-museo Del Mare Di Napoli. 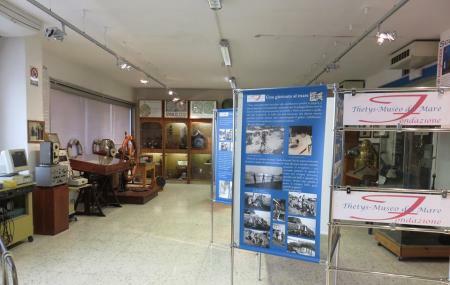 There are many old ship models as well as items explaining the internal structure and mechanism of various ship gadgets. Poco conosciuto, ma meriterebbe maggiore considerazione.